We are a congregation nurturing households of faith, joyfully responding to God through worship, spirituality, learning, caring relationships and living justly. Our Worship Service begins at 9:45 am with Faith Formation hour beginning at 11:00 am. Everyone is welcome! We worship this Good Friday at 10:00 am, Friday, April 19, 2019. Please find our order of worship for this service. We encourage you to arrive early (9:40-ish) in order to partake of a hearty communion as you enter the sanctuary. Our Easter Sunday Worship Service will begin at 9:45 am. Please find the order of worship for this service. For more details on our Sunday Services, Faith Formation hour and other events please see our Events Calendar. We hold weekly Sunday morning services in our church sanctuary. 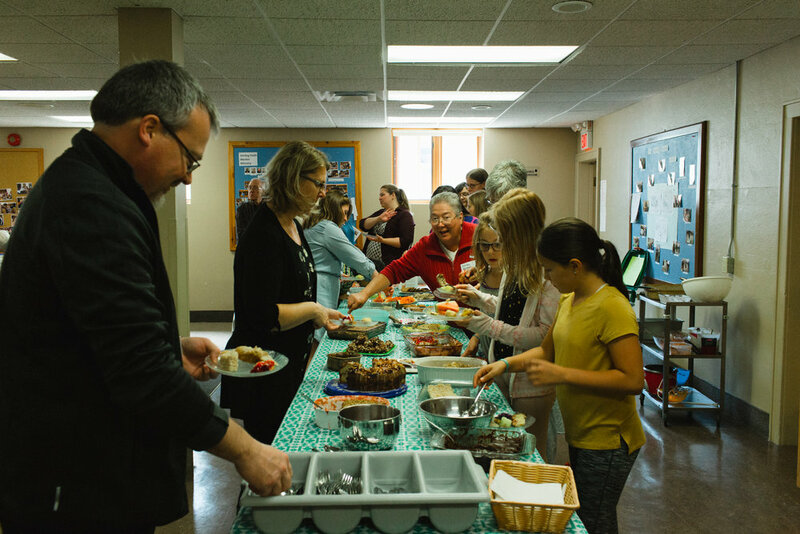 Rooted in the Anabaptist Mennonite faith tradition, our services seek to explore the revelation of Biblical scripture and its implications in our lives, in our community and in our world. Services are typically filled with scripture, prayer, singing, children's time and a sermon that draw from a particular theme or scripture text. 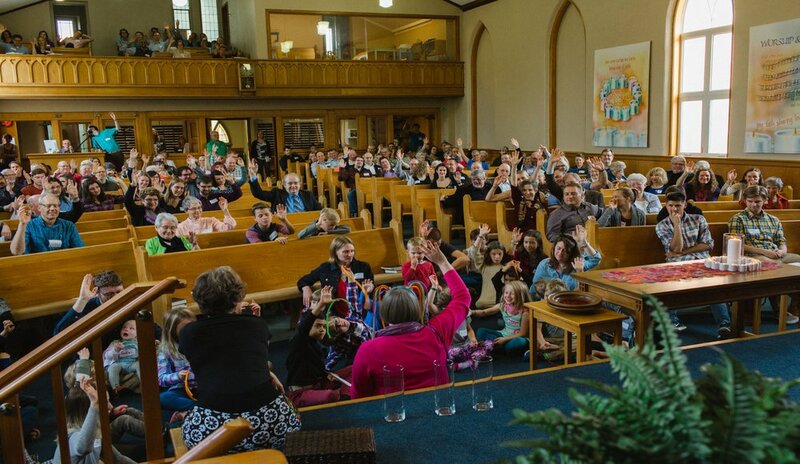 There is a nursery located on the balcony for parents with young children, yet we welcome the 'noises' from a multi-generational worship service. After our Sunday morning services we hold a Faith Formation hour with learning and growing opportunities for all ages. Children and youth explore their faith in smaller classes while the Adults typically gather as one larger group. There is also opportunity to visit with others over coffee/tea during this time. For more details on our our current Faith Formation Schedule please visit our Adult Winter Faith Formation Schedule 2019. We are located at 57 Stirling Avenue North, at the corner of Weber Street and Stirling Avenue N in Kitchener, Ontario. Using GRT transit: Bus 7, stop at the corner of Stirling and King Street and walk up the hill one block; Bus 8, stop at the corner of Stirling and Weber Street.